Facebook Says You Are Spamming…R E A L L Y? Well, Facebook is at it again. Facebook’s newsfeed will soon be undergoing some changes, which you, as a Facebook page owner, need to know about. Keep reading to the end of the post to read my personal views on these latest changes :-), and more importantly, I want to know what you think! 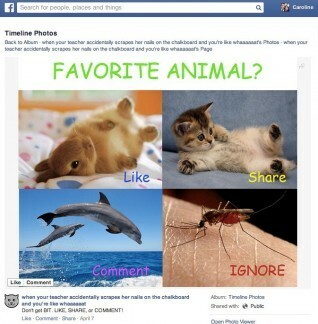 Following are the 3 types of behavior Facebook is looking to target. You know those posts that are explicitly aimed at getting people to interact with a post? Posts like “Click like if you love sleeping in”, or “Click like if you like pizza, or comment if you prefer lasagna”? This is what’s known as like-baiting (or comment-baiting, share-baiting, etc. )…encouraging others to action by telling them what to do. We know that when many fans ‘like’ or engage with a particular post, this post will be shown higher up on the newsfeed, and will be shown to more users. But according to Facebook, when they have asked users to rate the quality of ‘like-bait’ stories, fans report a 15% lower relevance than non like-bate stories with the same amount of interaction. In other words, posts that are explicitly designed to gather likes for the sole purpose of increasing visibility and distribution should not receive more prominent visibility or promotion, and are thus being targeted. This should not be confused with the best practice of including an appropriate call to action in your post; for instance, asking a question and then explicitly asking your fans to answer the question in the comments. This is a pretty easy one to avoid. Do not create posts that have the sole purpose of garnering likes, shares or comments. Your content should be original, useful and aimed at meeting the needs and desires of your audience. To be on the safe side, I would now recommend not explicitly asking your fans to ‘like your posts’; excellent content should garner likes organically anyway. Pages that frequently post already widely circulated content – images and videos in particular – should proceed with caution. The Facebook announcement states that newsfeed will soon be ‘de-emphasizing’ these pages; what this looks like exactly, we don’t know yet, but it will certainly mean less prominence and visibility for their stories in their fans’ newsfeeds. The use of ‘occasionally’ leads me to believe they are going after a small number of pages that exist almost exclusively to share other people’s content. If you generally share other people’s photos and videos to the exclusion of sharing any of your own unique, original content, it’s time to change up your strategy. Continue sharing images that your audience will love; just make sure these don’t account for the majority of what you share on Facebook. This one is pretty straightforward: Have you ever clicked on a link on Facebook expecting one thing, and getting quite another? For instance, a post claims: “Click on the link to read the full post”, and yet when you click on it, you are taken to a page full of ads. This is an example of a spammy link. A best practice in all areas of digital marketing and social media is to meet the expectations of your audience. One way you can do this is to clearly articulate what your readers, visitor or followers should expect when they click on one of your links. The same holds true on Facebook. When you include a link in your posts, be sure to clearly articulate what the source article or post is about. This will ensure your fans know exactly what to expect; and if the page or post is consistent with their expectations, they will be far more likely to ‘like’ or share your content. This will mean increased visibility for your post, and will help you avoid having your links dinged as spam. In my opinion, Facebook is once again becoming a censor for OUR content. In some cases, spam is obvious, and action needs to be taken and I am all for that. But in the end, who decides what is spam? Shouldn’t it be us, the users of Facebook? Who’s to say one man’s ‘junk’ isn’t another man’s treasure? I would love to know what YOU think! Is Facebook’s newsfeed algorithm becoming too restrictive? Is Facebook exhibiting too much control over what we see and what we don’t? Leave a comment below! It’s really difficult for sites like Facebook to manage this aspect of things, if they don;t get the feed right then the users will get turned off from Facebook completely, and there’s quite strong evidence that’s happening. Then there’s the financial model, advertising and promoting posts is getting more and more revenue for FB, so they need to give people more reason to send $$$ to get their genuine content in the feed. How long will it be before they introduce status update ‘boost’ options to individuals as well as to page owners? The problem is that we don’t get to choose, FB gets to choose. I think there is an even smarter option that they are missing for individuals, and that’s feed tailoring, even at a price, so that you can grow your network and control your feed, your way. It would be nice, transparent and fee earning for FB. You can already pay to boost a post on your personal profile, William. Yes, you are right, we don’t get to choose. If we want to play on their playground, we have to play by their rules. I am seriously considering deleting my Facebook business page based on the last 12 months of rapid fire changes. I find myself being expected to spend precious time deciphering the meaning of each algorythmic change that inevitably takes me away from my clients, and just when I think I’ve made sense of it, along comes another change. And to date, none of the time I’ve spent in Facebook has returned me a ROI. Thank you so much for sharing your insights and suggestions. Oh, and yes I agree, we the users must have a say in navigating the parametres of any social engagment space. I would not advise deleting your fan page, Bronwyn. Don’t stress over trying to stay on top of it yourself! Instead, I would find someone who is doing it right and learn from them. I’ve been doing it right for quite some time but each year my organic posts go to fewer people and my paid posts don’t return anywhere near the same response that organic posts do. It’s money down the drain. This year it seems like money and time down the drain and I am looking at other options to replace what use to be a good income from Facebook. It all comes down to greed in my opinion. I currently have my account banned from posting for 3 days for “spamming” yet I’ve done nothing different to any other time over the past 3 years. What is stupid is they didn’t stop the advertisement that was exactly the same content. Why? Because they are getting money for spamming the people they say they don’t want to spam? Rob, Exactly!! I’m in that same position. Several of my posts (cute animal artwork, for cryin’ out loud!!) from my fan page have been removed suddenly over the last few weeks. I’ve been scrambling to try to “comply” with “rules’ that are not even clearly posted… like how many times can I really post the same image on separate groups, and how much time must I leave between posts, and the suspicion that i must change up the text on each post so it’s not “copy/pasted” is taking WAY too much of my time! Grrr! Great information as always Kim. I think they’re trying to assure the user has the best experience and on the surface the logic doesn’t seem to terrible provided it works well. I’m sure they’ll be uproar as always but if it works and improves the experience its awesome. If it doesn’t work it always opens up opportunities for other platforms to benefit. That frequently circulated traffic one though seems a little odd since if something is popular you’d think it would be shared a lot. It does sound good on the surface of it but I am worried about the fact that Facebook’s ‘unknown’ algorithm gets to choose who sees our content in an ever increasing censorship role. 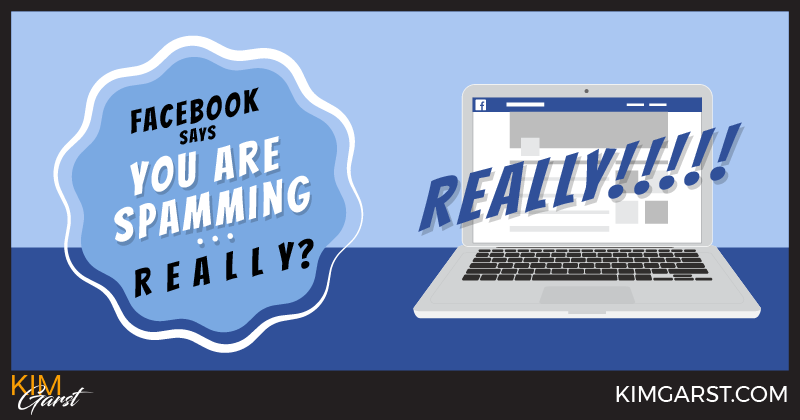 Look what Kim Garst just posted..Facebook Says You Are Spammingâ¦R E A L L Y? It all seems very logical to me, however, how is Facebook going to police this? That is where the trouble will come in. Some of us may get caught in it’s net AND you know as well as I do, Facebook is hard to get in touch with in most cases. Look what Roz Fruchtman just posted..Roz Fruchtman’s Say It With a Quote – JOIN US on Facebook for Daily Inspiration, Support and Community! It’s going to be interesting, Roz! If it works, I am all for it but I see so many chances for this to be more about censorship than quality control of content. Great article. I’m telling my clients upfront that things are changing on Facebook. I recommend a presence on Facebook, but I tell them we need to put the focus elsewhere. We are really focusing our efforts on G+, Pinterest, LinkedIn and even Houzz.com. Facebook is pretty much driving real estate and other pages away. I work with Realtors and I just don’t see the relevance. They can’t afford to boost every post nor can they afford to pay me the hours necessary to come up with original posts for EVERYTHING I put up. I don’t see the point of not being able to organically share my posts with our fans. So there you have it. Thanks Kim. I don’t think it’s time to ditch Facebook. Not by any stretch of the imagination. It’s still a huge marketplace and smart marketers always have their eggs in multiple baskets anyway. Those that roll with the changes and learn to leverage the platform are going to kill it in my opinion. But it is going to require staying on top of what’s working now. I agree with you. I am tired of FB telling us how to use the space and changing it all the time. I agree with the spamming believe me but they are making it so that you have to pay them to use FB when it wasn’t originally set up that way. They have changed so much that it is just no longer a viable proposition. I use LinkedIn and Twitter and Pinterest – Google+ has been a bust also. I totally agree with Facebook on this one. Asking people to like and spammy links are pretty annoying. Having said that, Facebook is making it harder and harder to show on your followers news feed. I agree that the spammy links are annoying and I am all for policing that. BUT how are they deciding whose content is ‘spam’ and whose is not? That is where my concern comes into play. My main concern is I have many lurkers. They read posts but they don’t share or like. I know because they email me occasionally to let me know they loved the posts. The links I share are already quite invisible (60 views and under) so at yhis point I should expect them to get even less views, that is the only thing that really concerns me. I have never used the oter tactics and stribe to make my own graphics regularly so in that aspect no worries here! I hope that the insights get fixed, they are currently very unstable, so I have turned to Sprout Social to review my reach, engagement etc. To avoid de-motivation. Thanks for the heads up on Sprout Social, Beth. I agree that the FB insights are a bit irregular, at best. Kim, Thanks for an enlightening article. It has been so discouraging to work so hard trying to find posts that will get noticed. It is so hard to get fans engaged these days. Seems like the only things they engage in are when I do giveaways and are required to like or comment because that is where Rafflecopter’s Flash Giveaway App selects the winners. Glad you got some takeaways! 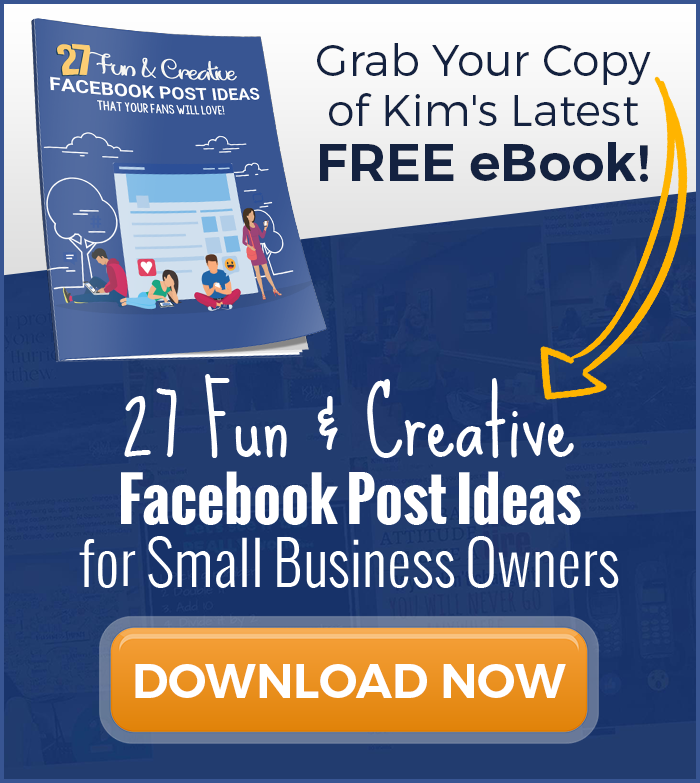 Look what Kim Garst just posted..Facebook Says You Are Spamming…R E A L L Y? I must agree that a lot of people looking at the post, maybe even loving it, but not interacting on Facebook at all. I also get feedback from my client’s followers about the content I posted on their Business pages, but there’s very little likes or comments on the post. I wonder if Facebook users are getting “desensitized”. (Personally, I don’t really react even when I love something as as soon as I click the like button, all I see in my newsfeed is the updates from that page/person.) One more interesting observation is that on my Facebook mobile app I see updates from posts or pages, that I never see on the desktop… does it mean Facebook decides what I like depending on the platform I am viewing it on? Awesome article Kim! Thank you! I’m actually excited to see how this will require us to step up our marketing game and get even more creative with our calls to action. I love a good challenge! The wise will continue to do well- I’m sure of it. Great food for thought Kim. I agree that spammy links need to be addressed on Facebook, but I thought getting your content shared organically was the point. This new change should prove interesting to watch. I appreciate Facebook trying to improve the experience of the visitors, and showing relevant articles. But with all they do, I wonder if it is not for the next step, to force you to pay for ads. Which is understandable, they want to make money, and it does not always have to be for free. But I find it gets controlled too much. Who are they to decide what content is relevant, and what is spam. The users can use the button to report spam, which gives a better indication of it being spam, than the simple fact that nobody liked the post. And if you ask people to become friends, and they no not respond, or ignore, you may risk receiving a ban and be blocked from asking more people to become friends. Who is Facebook to decide who you can ask to connect, they can simply put a button ignore, or do not ask again, as other social media platforms do. Is this also to force you into paid ads to connect and get noticed? So I feel Facebook is controlling too much, and even though I continue, for the time being, to use Facebook, I am looking for other Social Media platforms to use as alternative to share my content and input. I agree with you about, how should say this spam or not but on another side, Facebook become like a spam market, you visit FB and then you face news and photos as it’s the end of earth and you know what, i see that %50 are just the same story, so not bad to set some roles about it. We should work for people not to gain only money from them, thanks for great and useful post Kim, have a nice day. Personally, I think Facebook is losing money and this is their way of controlling other people making money off this site. Telling people what they can read and what posts they will get to see is stifling free speech. Why don’t they just come out and say they want to make more money off us? Billions aren’t enough for them apparently. People have their own ability to block what they don’t want to see and it should be left up to the individual to pick and choose- NOT have it chosen for us. I agree with the earlier comments. Quality content is what counts but you can publish a lot of drivel before you discover what your audience likes. This is the first article I’m reading specifically about these changes and I’m sure there will be many more. As an owner of a small page, 1200 fans, I suspect it can affect my organic reach more than pages with large followings. The one post technique I like to use has been to give my fans choices; which do you like better, what would you name this product, of the 4 purple images which is your favorite? Like-baiting-maybe? It can be interpreted that way or it can be viewed as a way for me to get to know what my fans really like. Will wait, watch, follow the experts advice so as not to get targeted. I agree what is one man’s junk is another man’s treasure for sure. I know people will abuse these site’s as they are not professional marketers who market properly. One of these days Facebook will end up like MySpace. Some other site will come along that respects users a lot better than Facebook does. I’m sure some techno genius has been watching Facebook like a hawk, listening to user complaints and coming up with a plan. In the meantime, I just make sure I don’t put all my eggs into Facebook. I make sure I make use of various social networks including Twitter and Google+. It seems like Facebook is after what Google has always been after – quality, original content. I think we all have to focus on what good information can we give our followers and continue on with that. No game playing! I agree with you Laurie. I think this is just another example of what many of expected once Facebook went public. It used to be a place where people contacted and interacted with their “friends” and whatever you wanted to post was for your “friends”. With FB going public money is now the driving factor; ads, promoted posted and now this. For business use I can see the value in what they are doing but not for personal accounts. If someone wants to post a bunch of spammy pictures or LIke Baiting what does it matter if their friends interact with it. I guess my point is that I am against any form of censoring unless it is something truly objectionable. The part that worries me is posting links that people don’t interact with. We frequently post links (several times a day) to our blog posts on our Facebook page, and clicks from Facebook used to be one of our biggest sources of traffic. However, for some reason, people don’t interact with the actual Facebook post by liking or sharing, even though they click through to the blog post. I’m in love with these new rules. If it means no more empty requests to ‘like or share this’, no repeat feeds I have no need to see again for the umpteenth time, and definately no more look younger and be thinner spam posts, I am a happy Facebooker! Look what Krishna_Everson ( just posted..Help! Why aren’t people attending my workshops? I agree….I believe while Facebook claims to be social media, it allows businesses to have business pages…it also is prejudice to people who have home based businesses which I believe is a “shame” on Facebook! Business is business and the best entrepreneurs I know and the most developed as far as personal growth are people who are in home based businesses due to the fact they are constantly working on personal development. So who IS to say what is SPAM and what is another man’s treasure….The blessings behind home based business people is they don’t make money until they help others make money, unlike corporate America or the average person creating his own success. It’s called people helping people, no spam. Thank you for this post Kim. Thank you for the heads up. I believe that there are a few who make it difficult on the majority, especially when the lines blur between personal facebook posts and promoted content. It’s become difficult to get fans and email addresses primarily because of the tactics some use to build their base of followers. The prospect today is reluctant to give any business information that would allow us to continue to build a relationship… they can’t differentiate between professional and hustler. So if the new policy keeps people from flinching over the hazy or deceptive posts… I’m for it. It seems they might even level the playing field for those who will actually pay to get their message out. I think it is more about how to limit page visibility. This will be another chance for FB how to earn more money because page owners will have to advertise for their readers to get the content out. It has changed so much lately and I don’t think that this change will be any favor for the page owners. Thank you for the heads up on impending Facebook changes! For the most part, if the changes are implemented the way you discribe ( I’ll need to research further) I think users will have a better experience. By in large, while FB is used as a marketing tool, the vast majority of users are not business owners and look at business pages as nothing more than advertising platforms. I see posts all the time by people complaining that they see little of what their friends and family are doing because they are receiving so many posts about business opportunities, products, and services. That said,, I’m a bit concerned about policy change #2, sharing content from other pages. That’s what Spotlight Around Town is, however, I’m selective about content and work to avoid blowing up news feeds, so it should be fine. Look what Sherry just posted..Tired of the same “ho-hum” dried out turkey? to consign what Laurie said..original high quality content should be what we are posting anyway right? These changes must be the spin off of a survey Facebook prompted me to do about a month ago. I know in my circles, people are getting tired of Facebook for all the shared posts similar to those described in your article. However, if I like a specific page, I expect to be able to see the posts of that page without issue. If they are too spammy or not relevant to my life, then I will go back and unlike the page. The news feed issue for me is not from the pages I like, its from items shared by people on my friends list from pages with names that are sentences, causes or with offensive language – a name not representative of a person or business. Something else about news feed options. What is the purpose of Top Stories? How does Facebook determine these? And, why is Most Recent not most recent? What I mean by that is to me most recent should be chronological, but Facebook is popping messages up to the top if someone comments on a post. Those should be top stories – the posts with action on them, and the most recent should be a true chronological representation of what is in your news feed. I find I miss posts, because they don’t show up in my news feed at all, or they get overridden by posts with comments. Kim, this may be more than what you were after as far as feedback goes, but I know Facebook is losing people because of these things. 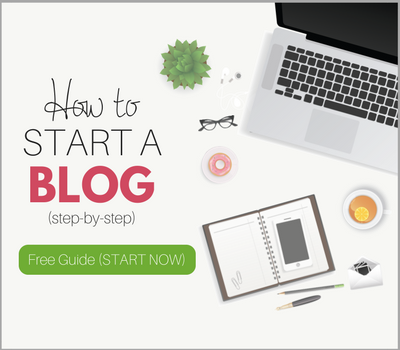 Look what Sheri just posted..Is Your Website Favicon a Blank Page? I am not a marketer nor do I have anything to market. I am also retired and spend a great deal of my time on social media as I am confined to the indoors and sitting most of the time due to disabilities. I appreciate those of you in business who use FB in a manner that is direct rather than using the spammy approach or similar as Kim points out. As an exclusive on-line shopper for 90% of my retail needs I avoid buying from anyone who attempts to attract me via spam or other similar approach. Most of my fellow Seniors that I know are the same way. So as Kim suggests try to use honesty in your advertising. That clues me that you are a honest merchant or service provide which is a first step requirement for me as a consumer. I wish you all much success in your entrepreneurial efforts! I’m okay with them filtering spammy links if it is truly as they have stated, bad links, link baiting and over circulation. I look at it the same way as I do my spam filter on email. Junk emails, just like spam posts, go to a folder. Yes, occasionally I may have to look in that folder for something that is not spam. But just like my email learns, I believe so to will Facebook. I wonder how that will affect the facebook friday party posts and the Like Ladders? I would hate if those were penalized because I have gained some great friendships and new contacts thru those … any thoughts? Thanks for the great summary Kim – and I enjoyed your interpretations too! Personally I’m glad that they are cracking down on the obvious ‘like-bait’ posts, and the spammy link posts. But – I think the danger will be – as you say – that Facebook may end up making too many choices for us. Some people love the ‘like posts’ especially if it’s about a topic they are really passionate about – which is why the dog / cat / craft / hobby pages do so well. I can understand that Facebook needs to be run as a profit-making business, but I wonder whether these changes will go so far away from how users originally used Facebook, and how businesses originally started their pages, that they risk alienating both sides of their customers (users, and businesses paying for ads). Personally I think they are shooting themselves in the foot. I am hoping that they will see that the things people click on (like, comment and share) are the fun things that go around on everyone’s pages. FB is just not fun anymore. I post the most important messages and no one sees them. I post cat massage videos and everyone likes them. I would like it if they would let my important messages get out. I feel like I have had to become an entertainer – not a provider of good info/content. They also keep switching the way the news feed shows up from top stories to recent activity so you have to get a lot of engagement to make it flip into the top stories and get more people to see it. I am hoping they will see the light from their data and figure out how to fix it. If not it will just be another myspace. It could just be growing pains. After Facebook put me in Facebook jail three times — just for trying to make friends…..I went over to Google+ and love it there. More sophisticated, more exposure, better in every respect and NO jail for being friendly. Look what Lisa Magoulas just posted..How does food affect your mood? I haven’t been on your website for long time so I spent almost an hour reading missed posts. Like always, you are rocking! Regarding this post I can only say that one thing I hate most is when someone on Facebook try to gain attention by posting something like this: ”Like if you eat food”. I really can’t stand watching that so I usually unlike pages that post this crap. They are adding no value! However, keep with rocking Kim! I went through my feed before reading this article, and the first 6 items were posts from pages I’ve never heard of, whether alone chose to like. Originally I was excited to see Facebook go public, but their commerialism is getting to become to extreme for my taste. Imagine watching television, and every 5 minutes is 3 minutes worth of commercials. That’s becoming the body of Facebook. Plus my settings to Most Recent seems to always revert back to Top Stories where majority of it is actual advertisers. As a business page owner, I wouldn’t be so upset with the commercialism if I my posts reached the majority of those who willingly follow my page. I’m averaging under 18% of my followers see my posts, which they choose to see but don’t. I as well want to know what’s going on with pages I follow, and often wonder what I’ve been missing if I don’t directly visit their page; which then defeats the purpose of a newsfeed. I’ve never paid for a “boost” or an ad on Facebook, so all my analytics are Organic views. Over the past year I’ve seen my post views go from 80%+ to below 20%. I have more followers now, and less views. Like everyone else, I’m interested to see how these new changes effect my page. As it is I’m leaning to put more emphasis on other forums like G+, where my visibility is growing and I’m posting identical material on both. I personally don’t even have a Facebook page for just these reasons. I’m not saying that I will never have a Facebook page, but for right now I think there are a lot better options out there for social media. I think that since Facebook has become a public company, they are more concerned about the money than the end user. They give reasons that will appease some, but they just want you to pay to play. I wonder if some of those spammy posts are going to get dinged if they are being boosted for a couple bucks? Is interaction driving what people see in their news feed or is it money? It is a good thing they want to make the site more reader friendly. I really question censorship based on a private algorhythm. Freedom of Speech Rights (whether written or spoken) belong to all citizens and can be easily infringed upon in this instance. I think Facebook needs to let us see WHAT we want and like and we will report the others. Take down the ones the public report but no others. Great post. I am almost in tears over my page. With a fan page with over 53,000 likes and engagement was always around 75% or more, my engagement has plummeted by 65% and i do none of the above you have mentioned. I have been targeted big time and i am helpless with that to do. I also have had several people contact me because of my Facebook page just today! They do random searches or were sent links to that Facebook page. I suppose I post quite well, considering they keep finding me. This makes me happy to know that I have engaging posts that people enjoy. I do not post “spammy links”, or “give me likes! PLEASE!” or “Comment here and I’ll be your best friend!” posts. I simply have a lot of fun. I share my thoughts, my products and sometimes something hilarious. I have not paid for Facebook advertising nor intend to do so. If I have to be put in time out for having a great FREE advertising resource, then I have to be put into time out. What I don’t like about this, is Facebook can do this to anyone for any reason and there is no way to unblock once it has been sentenced. Facebook says, “Unfortunately we can’t lift this block for any reason.” What I don’t understand is why they ask if you disagree with this block. Alas – it’s still free, so I put up with this nonsense . Your title made me jump. Glad you are ahead of the game! This information needs to be shared with anyone posting on FB. Thanks, Kim. Facebook is all about sharing with each other, and what people choose to share with their network of friends is their prerogative. 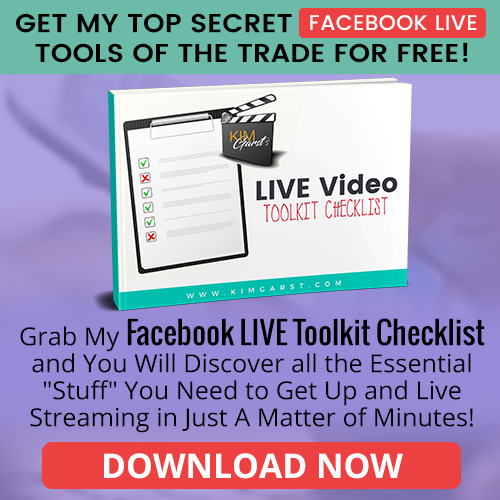 The items you mentioned that are now being targeted by Facebook, are businesses “tools” and are more geared towards them. Who else but a business / brand would care how many likes they receive and thus turn to like baiting to gain more likes? Or with regards to using frequently shared items, again, while regular friends may share things like this once in a while, it’s mainly business who regularly seek out and use frequently shred items in their posts in order to garner more attention for their pages. The last item, spammy links, is clearly another business driving tool. Looks to me like Facebook is protecting their main constituents by limiting the amount of “crap” (so to speak) that’s floating around on their pages. The ones who use this “crap” or “tools” the most are parties seeking to gain followers that benefit from having lots of people like or engage with them – businesses / brands. As a regular Facebook user, I’m not personally opposed to the changes they are proposing. As a business owner, while these “tools” may seem helpful, in the end, our engagement with our fans should come from a place of authenticity. If the main goal of sharing on Facebook is to led by more likes or more shares (vs. sharing information / providing value that’s relevant to your fans), then I say take it away. Just my 2 cents. Thanks Kim forthus great post. Looks like Facebook is adopting a Google-like attitude. Great post Kim! Thank you for always being on top of Facebook changes and sharing them! I do think fb is taking too much control. It’s gotten more difficult for business pages. Seems they are shutting them out. It’s going to be interesting to see what happens. Like others, I understand about the spammy link posts. But users are having less and less say so. Firstly thanks for the update and totally agree with Facebook in getting rid of non genuine “Like Baiting” hate it with a passion and “Spammy links” there is enough download of cookies going on without more rubbish. Facebook also need to get rid of the auto pop up when you “like” a posting and see three or four if not more “you may also Like”……No I dont Like. Kim, your insights are always on the cutting edge. On the surface these changes sound disturbing, but you help to cut through the fog and demonstrate how we can continue to post valuable content that will be largely unaffected by these new restrictions. The more time I spend on Facebook, the more I realize that copied photos and posts garner every little attention. Most people seem to naturally sift through the clutter of artificial posts and interact with the ones that are most original and most personal. Kim, your page is a great example of utilizing fresh material that constantly generates passionate response. I get what they’re saying about “spammy posts”, I just don’t think the changes are happening out of some genuine concern for the users. They said themselves they’re trying to combat page owners who are “gaming the system”; meaning using methods to generate more organic reach without paying Facebook for it. Well we certainly can’t have anyone increasing their reach without paying Facebook, can we? I certainly agree that these kinds of posts are spammy and not real content at all. But here’s where I have a problem as a blogger. I post links to blogs on my website on a daily basis. Good solid content that my followers love. But because of the new “pay to play” business model very few of my followers see these posts. Organic reach is even worse on any post with a link in it, so of almost 4000 fans, 50 may see the link. That doesn’t exactly do much for my odds of getting likes on it. And even though the few that do see the content actually likes it, they may not make the effort to come back to the feed and like it. I have the same issue with images. For years we’ve heard nothing but how great images are and how much we should be using them. Now images are being hidden from all but a few also. If I’m posting images that are relevant to my page and the kind of thing my audience likes to see, it’s good content and I fail to see why it matters if I created it or someone else. It just never ends, and it’s always almost exclusively aimed at fan pages. I’d wager that as long as the image passes their 20% test you could post any kind of content you wanted if you were willing to pay for it. This whole thing isn’t about caring about content or the end user, because if it were they’d allow the people who follow our pages to see the content they followed it for. No, this is about finding ways to kill any methods that generate more organic reach, in my opinion. I see Facebook trying to clean up the feed. If it is to keep the feed space from too much spam and free up space for quality posts, I am all for it. If it is for just filling up with MORE ADS then no. Testing the market is done on Facebook too. Here we see what people like and participate in. True, if I am selling nuts – I ask which kind of nut do I prefer. I don’t go and say “do you like Easter bunnies or Reindeer?”, unless my nuts look like those! In advertising we are called always to relate our ads to the website – no fooling! Same goes here. Quality gets attention – I am for that! But an occassional quote that has a cute pet picture, or a gorgeous scene – that is fine too! I am not sure if sharing the same resource counts as “spam” though. I have a client who loves to share from 3-4 different sites great content she finds there! She doesn’t have time to write up her own content articles! THAT part scares me. Anyone else? Thanks for the update. Just started a blog a few months ago and not finding facebook helpful for attracting readers. Most of our traffic comes from twitter. At this point just using facebook to post a link to our posts. Do you have a consistent content plan and strategy for Facebook? Facebook censoring comments and posts is one thing. I’m not a big fan of censorship, but let’s not forget that what drives this is the inexcusable way that some people behave on social media. Bait and switch activities, spammy links and to a lesser extent, constantly regurgitating the same old stuff is just plan irritating. We need to behave considerately. Facebook could have all their censorship problems solved in a jiffy if they added a hate button. I’ve become increasingly disappointed in Facebook. Instead of giving users better tools to self-filter they have decided to become an omniscient censor. As you stated…one man’s spam is another man’s inspiration. I’m all for them getting people to improve their content…but let’s do that in a way that isn’t so heavy handed. Google+ gives the filter to the user. It’s a better way. Noise is more easily controlled with an easier UI for directed/selective communication through circles. If Facebook had any sense they’d improve on that model. They could use a YouTube style model for ads…the best content is worthy of ads and advertisers will pay to reach the audience for that content. Instead this model of direct contact with paid reach is reducing the impact that real content creators have relative to advertisers. Instead of treating everyone as an advertiser treat them as content creators and then let advertisers buy reach on other people’s content. My $.02. Great article Kim. Ben, my biggest concern is that legitimate content will fall to their spam filters. I am not opposed to them doing something to cut the spam but who decides is my point? We are finding that as long as we run with about $10 a day in very specifically targeted ads and then post content to match the (gasp) things are great. My page is growing by 200 likes a week now which is the highest it’s ever been! Yes, good content and applying paid advertising to the mix is where it’s at! Glad to hear you are having success. I agree with facebook. With all this “like this” spam showing up on my newsfeed its about time they’re doing something. This may put me in the minority but I actually don’t have a problem with Facebook cracking down on this stuff. I personally can’t stand Like-bait and will never click on it, and misleading or spammy links should not be allowed. I think it’s fair for Facebook, as a business, to keep their customers’ experience as spam-free as is possible. This is sort of off-topic, but I also disapprove of those Like-bait ads that will cite something popular, “Like Star Wars?” “Like Mad Men?” from, say a chain (like Wal-Mart) that sells (edited) Star Wars DVDs, or some cable company that carries the channel Mad Men is on. I’ve never “Liked” anything that wasn’t obvious and candid about its affiliation. I don’t have a problem with them cracking down either BUT in doing so, there will be some caught in the crossfire with legitimate content being censored. Fair point, I agree with that, certainly. Look what Brodie Tyler just posted..Dox Marketing is now Inbound Systems! Pretty simple stuff really. The best social media platforms create unique content that is also varied and preferably in photographic form. As long as you do this, all of the changes will be completely irrelevant to you. I agree, Richard. Unique content that your audience can connect and engage with! Nice post. It is a good thing they want to make the site more reader friendly. I really question censorship based on a private algorithm. Facebook has done many changes in their UI. 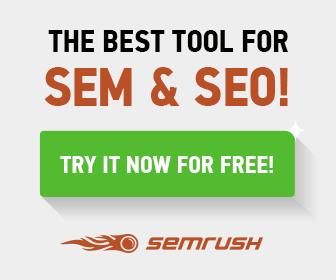 Spammy links are the most factor you can face your social media platform. It should be get avoid on Facebook. Nowadays more n more people are using facebook for promote their product or services. So, It should to maintain their spam comments on feeds. I’m annoyed by this because personally, I love e-cards, quote posts etc. They make me laugh, they brighten my day and sometimes they do actually inspire me too. And I am not alone. These types of posts are massively popular in general. Yet now Facebook is limiting their reach???? This is purely a financial decision to prevent companies from maximising their reach through potentially viral posts. 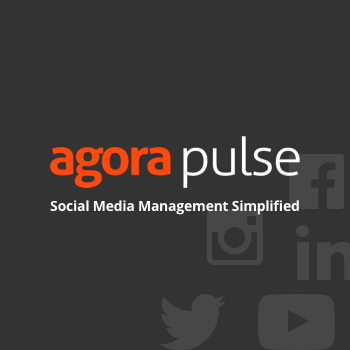 As social media managers, we are now going to be forced to juggle between creating reach and engagement. It’s crazy posts with high engagement are being penalised, while less engaging posts are given better reach. Not happy with this latest change at all. I have mixed feelings about the whole thing. Don’t like the censorship for sure! I think Facebook is becoming too restrictive in an effort to push us to purchase more ads and promotions for business pages. I am not a fan of the new changes. It’s irritating but at the end of the day the basics of social media will keep you moving and growing. Facebook is a good platform minus them trying to dictate the content we get to see. Interesting read and thank you for the insights – what worries me is what you term ‘like-baiting’ – I don’t go in for this generally, but occasionally when I am running a giveaway on my page, I ask that in order to enter the post gets liked or commented on – would this now be deemed as spam and what would be the better alternative? Yes I agree some sites really need to by policed like those saying things like ” This was totally unexpected they were amazed at what happen next” you go to that link see the clip and nothing fantastic happen these are the ones that need to be sorted out. It is also correct we the users should have a stronger say in what is consider spam or not as you stated one man’s trash is another man’s treasure. Beside creating good strong content will win the day. I fear that Facebook or may even be planning in heading in the direction of where may site owners such as ourselves will need to pay for the privilege this is on top of the paying to boost your posts you wish to promote. In the end for Facebook it’s all about the money and not about the user. I fear many site owners using their Fan page may suffer as a result down the road if they continue their ways. I hope not but if they go this way I am sure they will quickly start to lose people big time. I am finding that when I see a post that I want to read, it just disappears. I find that if my views do not agree with Facebook’s, I am often thrown into what I call Facebook jail. And it’s happening to many of my friends. I only use the hit agree etc button if it’s someone I know, not just to hit it. The other day I was told I would be banned because I scroll too fast? I am beginning to feel that if my views and opinions do not agree with Facebook’s, then I am being targeted. This is not my imagination, it’s fact. And more times than not my computer will freeze up and I have to log out and log back in to stop it. This only happens to me on Facebook. I became outraged when a dear friend was put into “Facebook jail AGAIN last night for sharing her views. This has got to stop!! I am getting this warning these days when sharing blog posts. I claim it as not a spam and they restore it. Very useful Information provided by you thanks. I am Enjoyful read your blog, I’ve adored viewing the change and all the diligent work you’ve put into your lovely home. My most loved was seeing the completed consequences of the stencil divider and the carport. I seek you have a beautiful rest after whatever is left For other information in the future.